This past weekend I attended a wedding at a really nice farm out in Mpumalanga’s countryside. 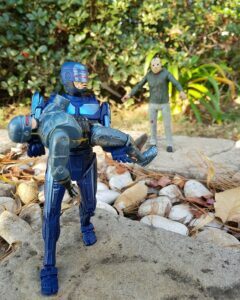 Before I left home I made sure to pack my backpack with a handful of action figures in case there were photo opportunities. The results were amazing and I’m still in the process of periodically uploading them to my Instagram feed, but looking back, this got me thinking. 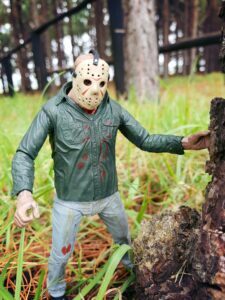 The action figures are only part of the joy in collecting and I think any collector would agree that the hunt is just as exciting. When it comes to collecting action figures there’s more to it than just picking one that looks cool. We are drawn to the characters that resonate with us and owning a physical version of those characters is like a symbol of the fond memories we have of watching them in our movies, series or video games. We get to embody our enjoyment of the character. 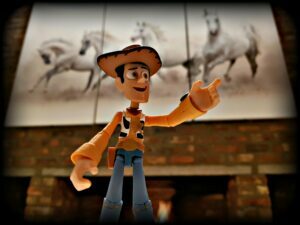 Some collectors prefer to keep them in their boxes on their shelf, others display them in poses in their room but people like me enjoy bringing them to life in pictures. To tell a story that only I can tell with them. 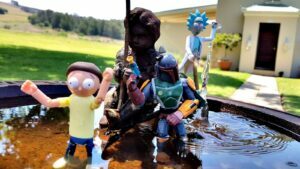 I would never see Boba Fett hunting down Rick and Morty anywhere else but in the scenarios that I create with my figures. Sharing these pictures I take with a much wider community gives me a sense of accomplishment and seeing others post their shots on Instagram inspires me. This is all just part of it, though. What excites me the most is the hunt. There aren’t many local shops that sell these things around here so I’m forced to look on the internet and spot action figures that catch my eye. For example, a Mezco Judge Dredd: Cursed Earth figure that comes with a jumpsuit, weapons with removable magazines as well as a nifty poncho. 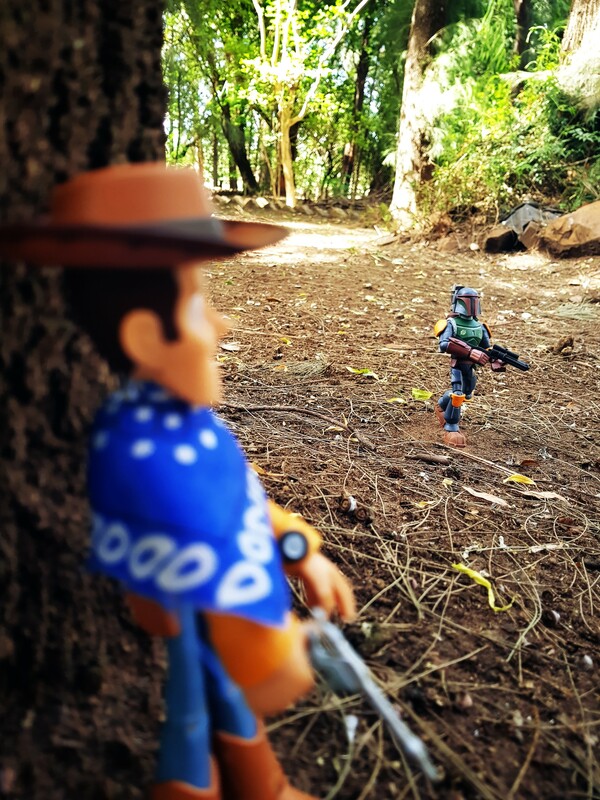 After spotting my prey I do some research which normally includes seeing how popular the figure is on Instagram and seeing what other people are doing with it. Then I move onto watching reviews to hear about the pros and cons of the figure which normally ends up making me want it more. Finally, I move onto looking at my other figures to see what kind of stories I can craft. Judge Dredd would fit in nicely with my classic Robocop figure as both are 80’s icons of dystopian law enforcement. Then comes walking around my house and yard, taking in all the information I have about the figure’s pose-ability and planning pictures around that before actually thinking about getting the figure. A lot of times I go through this process and end up not getting the figure in question. One thing a collector must accept from the beginning is that you can’t get them all. But for the ones you can get, the hunt is part of the fun. Whether it’s stumbling across it in a shop or seeing it online, the idea of having it stirs as soon as one’s eyes fall upon it. With the lack of stores that specialise in these things does seem to hinder the South African geek culture. In my area, we don’t have these things besides a Toys R Us but that isn’t a comic book store that specialises in catering for us geeks. There are a few in the bigger cities but not many people know about these things. 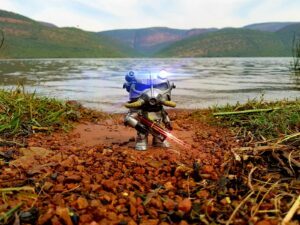 Does South African Geek Culture need a larger soapbox to shout from? Do we need to show retailers that there is a market for these things? Wouldn’t it be nice if we had more stores across the country that catered for our need to collect and admire our collectibles? I personally think we need to be more vocal and support what little market there is in this country. South Africa was a tad late to the party on the concept of collecting action figures as only recently have I seen Funko Pops appear in stores local to me. The bigger cities are getting them first, no doubt. But I remember a few years ago not many people here knew what a Funko was while my family in New Zealand was raving about them. Either way, whether the market for it is strong or not, the hunt for plastic never dulls. What do you think? Do we need more comic book shops in South Africa?